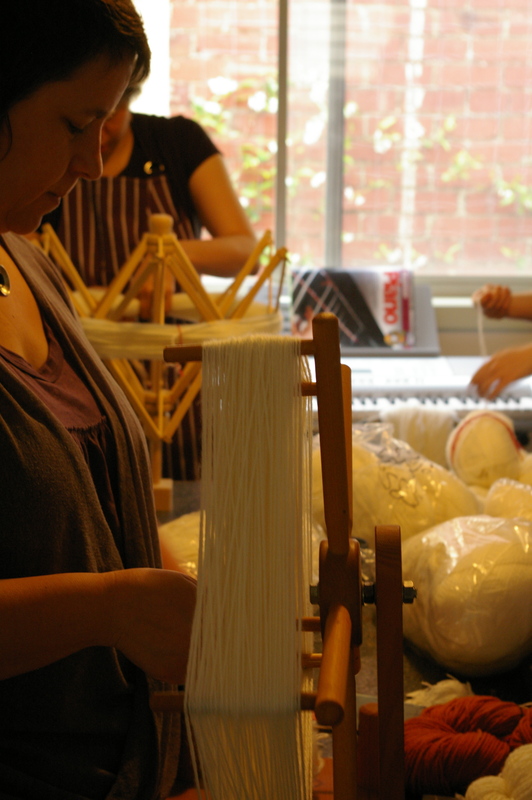 Our new dye group had its inaugural meet on Sunday! Lots of excitement, enthusiasm and questions, some good ideas and knowledge and a little bit of chaos. Three pots of eucalypt leaves and bark that had been stewing away for the best part of a week and one impromptu pot of mint basil- or basil mint?! and the sideroxylon bark, which I had soaked and heated several times over a two-week period until the bath was almost black, resulted in a surprisingly pale cocoa. Rather than building a massive collection of tiny samples of colour, I’m skeining up the 2kg of Grafton- which sadly doesn’t seem to take up as much dye as other yarns ; ( – that I got in the Yarn Workshop sell-out into 50gm lots. 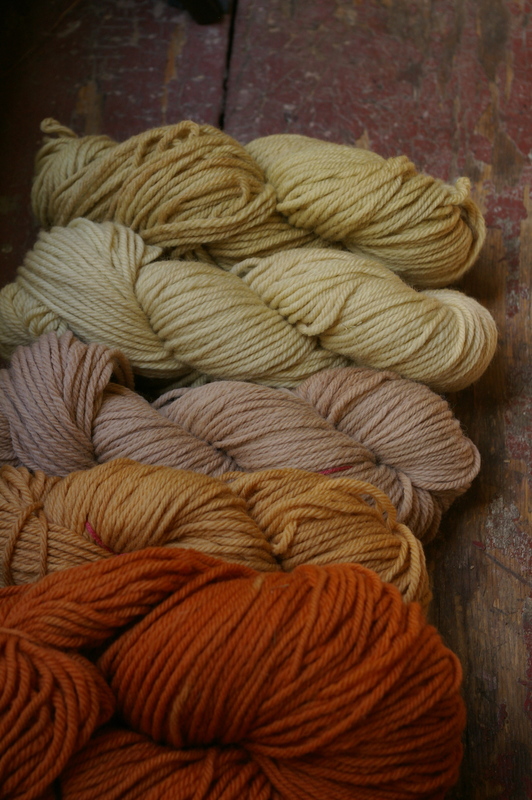 That way, despite the possibility of ending up with a whole lot of different colours, I can turn the results of our experiments into some cushions and blankets- the last thing I need is more single balls of yarn to find uses for! Thanks, everyone! 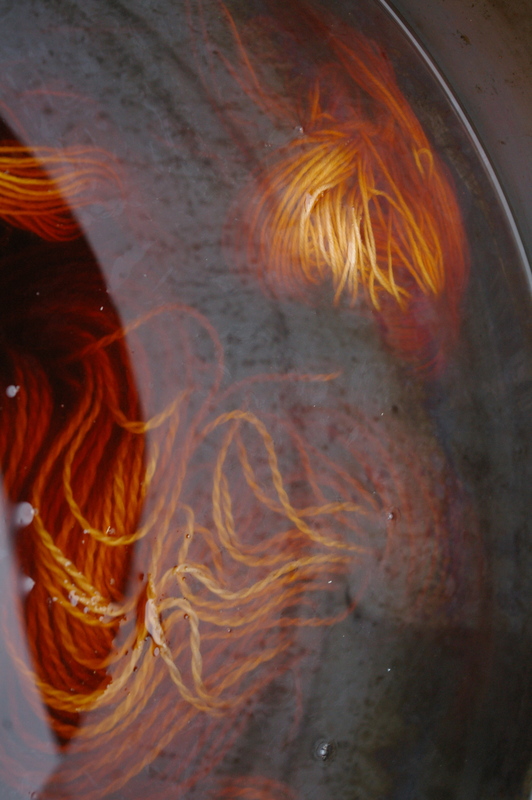 This entry was posted in dyeing, plants on November 15, 2011 by admin. 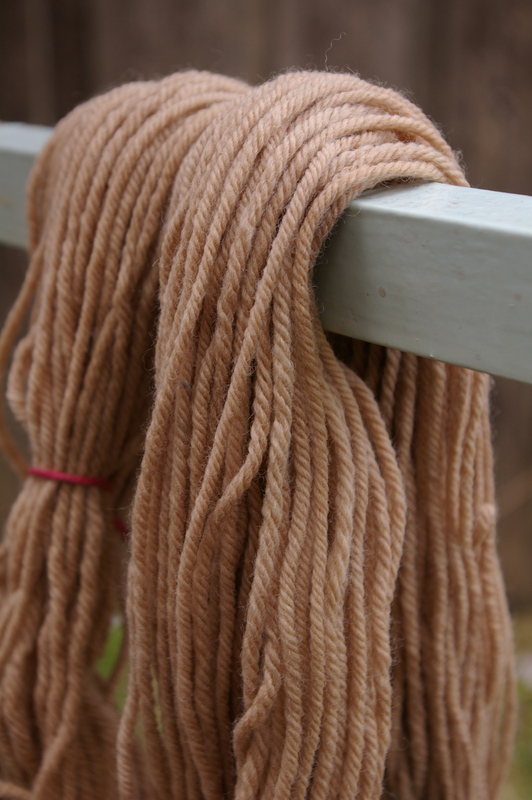 Oh how I love the way the colours of natural dyed yarn harmonize with each other. That last photo is just so pretty. Thanks so much! 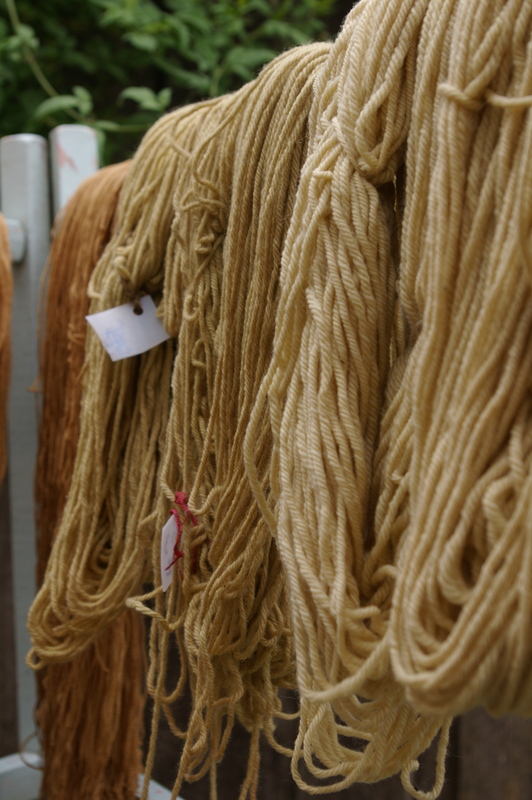 You are right- plant-dyed yarns work so beautifully together… which is very encouraging and inspiring! Eukys are so unpredictable? Had there been a lot of rain or cold recently? (Less colour for me.) And were the leaves fresh? (Better colour for me.) 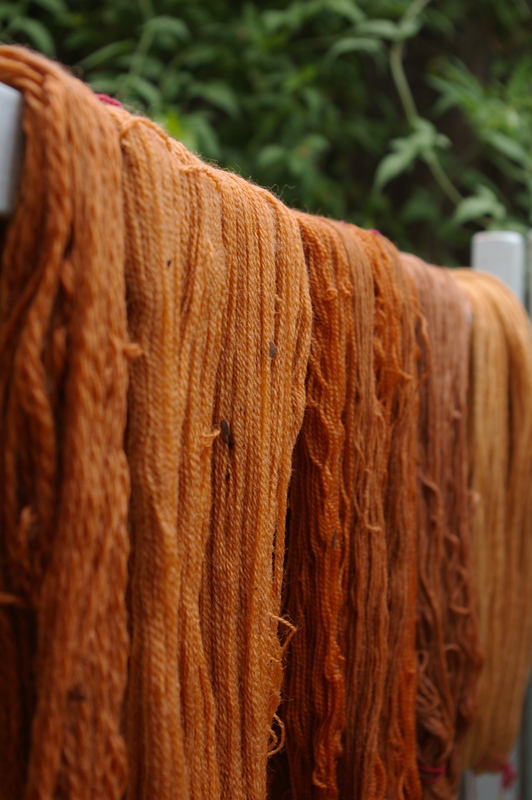 I did some winter dyeing with wool in Melb recently, cinerea was orange not summer crimson, sideroxylon was beige not summer orange-red.